Geoffrey Thomas is a talented writer and commentator who takes a holistic view of the aviation industry and has done so for more than 30 years. He has worked full time in the industry over the past 15 years and has won 27 international and national awards for his works including the highest accolade possible, the Royal Aeronautical Society Aerospace Journalist of the Year for 2009. He has earned an outstanding reputation with the media, the public, aviation personnel and government officials as the “go to” person on all matters related to aviation and airlines. He is an outspoken but fair critic of many aspects of airline management, technological issues related to aviation and those related to safety and the environment. Geoffrey has spent many years inspiring and supporting aviation staff and management and has earned the respect from colleagues all over the world for his vast knowledge of the dynamics of the aviation and travel industries. He is a sought-after public speaker with a commitment to improving the public’s knowledge, understanding and encouragement with the commercial aviation and travel industries. He has been invited to many overseas conferences as the keynote speaker and received rave reviews from attendees and conference organisers. An encyclopaedic knowledge of aviation history and an exceptional ability to give perspective to current events as they unfold make Geoffrey an engaging communicator who is comfortable speaking with management level audiences as well as members of the travelling public. His extensive travel experiences have produced some harrowing and amusing tales by which audiences are bound to be entertained and enthralled. 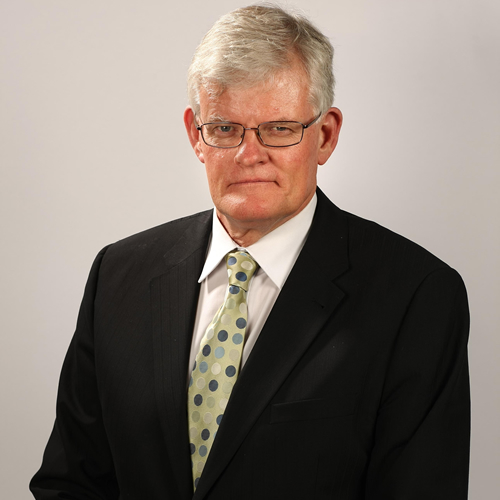 Currently Geoffrey works as Aviation Editor of The West Australian newspaper and as a contributor to Australian Aviation. He is former Chief Editor of US based Air Transport World and also work as SE-Editor of Aviation Week and Space Technology. Geoffrey is Channel 7’s Sunrise Breakfast show’s aviation commentator and is the “go to person” in Australia and New Zealand for any aviation event. During the November 4, 2010 Qantas A380 incident he made over 50 radio and TV appearances in three days. 2010 Royal Aeronautical Society Aerospace Journalist of the Year (Best Business and Strategy Story) for ‘Re-inventing Comfort’ published in Air Transport World; Publisher’s Award Air Transport World. 2009 Royal Aeronautical Society Aerospace Journalist of the Year (Winner Overall); Royal Aeronautical Society Aerospace Journalist of the Year (Best Finance and Strategy Story); Australasian Journalist of the Year (Best Feature Story). 2008 Australian Journalist of the Year (Best News Story); Runner up Australasian Aviation Journalist of the Year (Best Technical Story). 2006 Aviation Journalist of the Year (Best Breaking News Story). 2005 Australasian Aviation Journalist of the Year (Best Technical Story). 2003 Royal Aeronautical Aerospace Journalist of the Year (Best Safety and Systems Story); Runner up Australasian Aviation Journalist of the Year; Australasian Aviation Journalist of the Year (Best Technical Story); American Society of Business Publication Editors (ASBPE) and Trade Association and Business Publications International (Best Editorial). 2002 Royal Aeronautical Society Aerospace Journalist of the Year (Best Safety & Systems Story); Australasian Aviation Journalist of the Year (Winner Overall); Australasian Aviation Journalist of the Year (Best Feature Story); Runner up Australasian Aviation Journalist of the Year (Best Technical Feature). 2001 Australasian Aviation Journalist of the Year (Winner Overall); Australasian Aviation Journalist of the Year (Best Feature); Australasian Aviation Journalist of the Year (Best News Story); Joint winner of the H.B.Jackson Award for The West Australian’s Journalist of the Year; Publishers’ Award Air Transport World. The Need to Change – In a recent airline survey 90% responded their company needed change but 90% also responded “I don’t need to change”. This presentation has wide corporate appeal. “Have you ever been charged of drug trafficking?” – US border guard. “Problem, sir! Your name is not in the computer” – Iranian passport control officer exiting Tehran. A humorous and sometimes frightening look at the world of the aviation writer. “Noooooooo he is not going to sit next to me!” A hilarious and light hearted look at passengers and flying – see if you can identify yourself. “Whatever you thought about airlines you are almost certainly wrong.” This presentation looks at the truth about air fare costs, what drives the industry, explains with humour all the mysteries of the industry. “The fact that an opinion has been widely held is no evidence whatsoever that it isn’t utterly absurd.. Indeed, in view of the silliness of the majority of mankind, a widespread belief is more likely to be foolish than sensible”. (Everyone credits the reduction of air fares on US deregulation. Nothing could be further from the truth. In fact deregulation has wrecked what was the world’s best airline system). “Now for the true story of how crashes have made flying safer.” Do you feel frightened after another episode of Air Crash Investigation – well you shouldn’t! Virtually every episode changed aviation forever making it the world’s safest form of transport. “How did the world’s greatest plane maker get it so wrong?” It was touted as the greatest advance in aviation but brining it to airline service has proved a nightmare and created the biggest corporate foul up in aviation history.